Power adapter plugged into the wall socket, green LED on power adapter lights up. Soon as you plug the power into the motherboard the LED on the power adapter goes off. This is a safety feature built into the power adapter for protecting the itself from getting zapped by turning itself off. 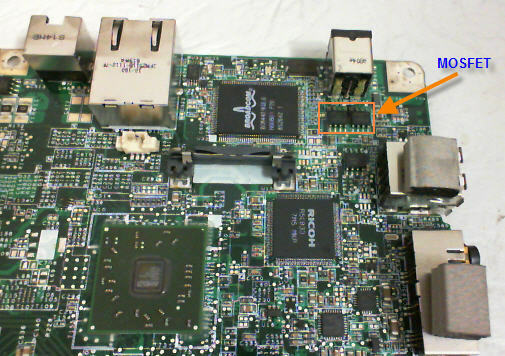 The only way to get the power adapter working again is to remove it from the motherboard and from the wall socket. Some of the power adapter will try to restart itself but if you don’t disconnect it from the motherboard the power adapter will just goes in a loop of restarting. In that case the LED on the power adapter will blink on and off. Note: This may not work the way it should be if you are using after market or universal AC adapter. Tested MOSFETs near power in section and found one of the MOSFET to be shorted. 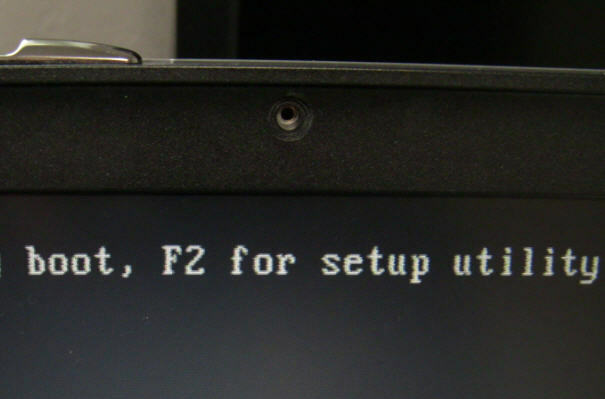 Dell D620 boots up fine execpt for the display is fuzzy on the LCD screen. Works fine when connected to the external monitor. I was sure the issue this the LCD panel. Tested with known good LCD ribbon cable, same issue. Tested with known good inverter, still the same. At this point everything points to a defective LCD panel. Got a known good LCD panel from another Dell D620. Guess what, same thing on the known good LCD panel. Since this model is known to have issue with the Nvidia graphic chip I decided to give it a reflow on the GPU and see what happens. After the reflow the laptop displayed video correctly on both LCD and external monitor. 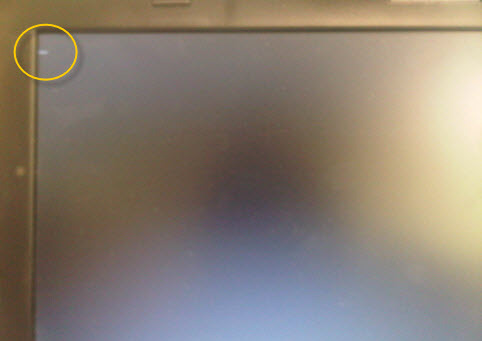 Display on LCD screen is fuzzy. some have screws at the bottom. 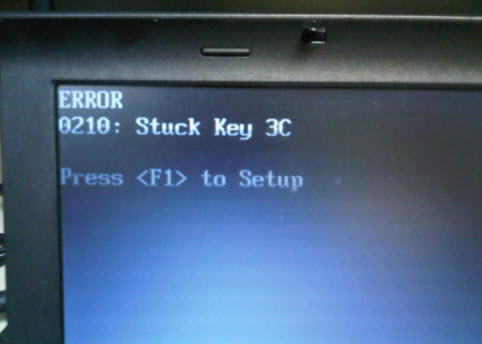 Stuck key error. 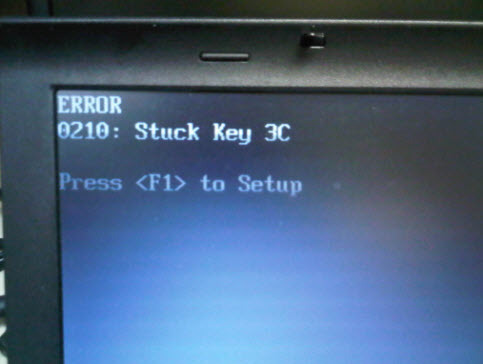 Confirmed no key is in fact stuck. Keyboard needs to be replaced. 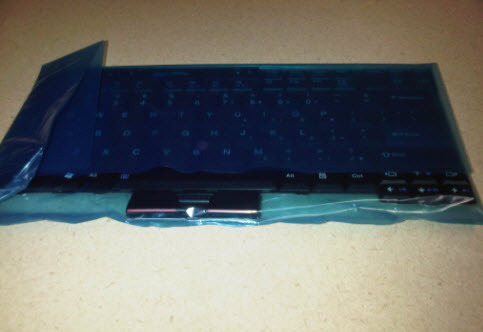 Here we have the replacement keyboard ready. If your notebook or netbook unexpectedly goes into Sleep mode while you are using it but the battery charge is not low, you may need to recalibrate your battery. You should also recalibrate the battery periodically to maintain the accuracy of the battery gauge. Check all keys, make sure keys are not stuck. Most likely have to replace the keyboard. Recondition your battery regularly. Most laptop manufacturers don’t generally tell you about this, but a simple process known as reconditioning (or occasionally, recalibrating) can breathe new life into your laptop battery and add capacity back. To do that, turn off your screen saver and any other power management tools which put your PC to sleep. Fully charge the laptop, and then let it run all the way down — right until it powers down due to lack of juice. Then charge it back up again and restore your power management stuff. Do this every few months (such as three times a year). A calibration cycle requires that the battery be completely charged and then completely discharged. During the calibration cycle, the power management properties must be disabled to allow the battery to completely discharge. 1.Connect the AC adapter and allow the battery to charge to 99% – 100% of capacity. 2.Disconnect the AC adapter from the notebook PC. 3.Click Start , enter power in the Search field, and then selectPower Options from the list. 4.Select Create a power plan from the left sidebar. 5.Click in the Plan name field and type Calibrator . Then, press Enter . 6.Select Never for all topics in the On battery column. 7.Click Create to accept the values and force the battery to consistently discharge. 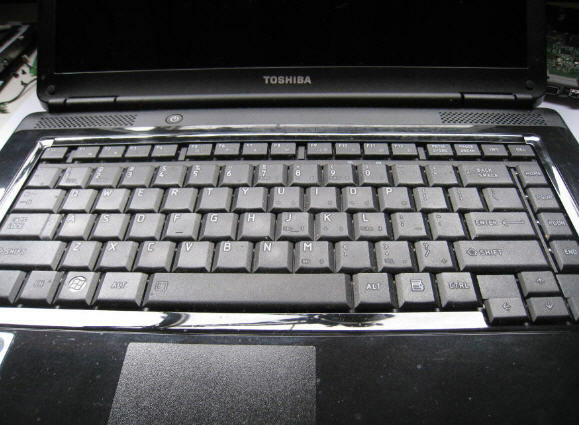 8.Allow the battery to discharge completely until the notebook PC shuts down. 9.Connect the AC adapter and restart the notebook PC. 10.After calibration, return to the Power Options dialog box (Step 3) and select your default power plan setting. Rechargeable batteries are considered a hazardous waste and should not be thrown in the trash. Take them to your nearest recycling center or hazardous waste disposal facility. The Web site below has an extensive list of retailers, such as Sears, Wal-Mart, Home Depot, and Radio Shack, who will take your battery and send it to a recycler.